Recently Mr Birdie declared that somebody at his work had made a cake that was far better than anything I had made recently. You can probably guess that this did not go down well with me! 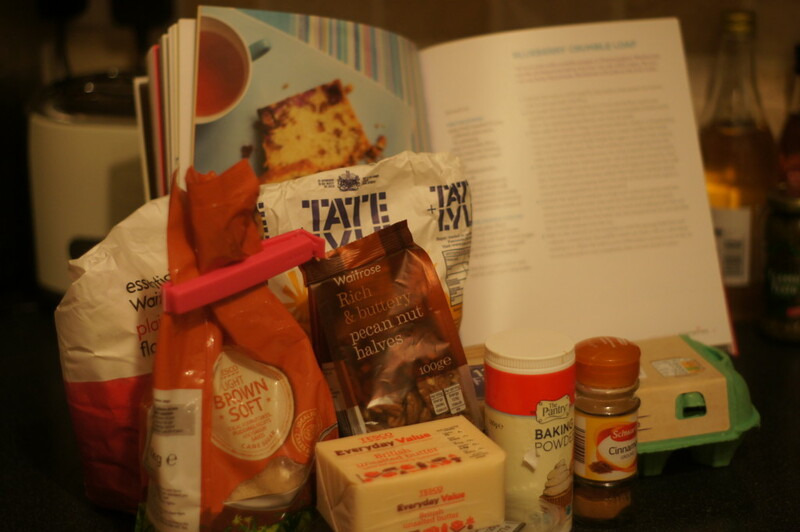 The recipe in question is from The Hummingbird Bakery’s Cake Day book. Whilst looking at the recipe for this supposedly amazing cake, I spotted this recipe for a blueberry crumble loaf. I had bought some blueberries thinking I would make these blueberry and pretzel cookies but changed my mind after seeing this recipe. I had a slight issue in that I didn’t have a loaf tin which was the right size. I ignored this and used my 2lb load tin and did have some issues with it overflowing the top of the tin which then made it very difficult to get it out at the end. The recipe also only said to grease the tin and dust with flour. With hindsight, I would definitely line the tin with baking parchment. It was well received at school and was gone by the end of morning break. You will need a 8.5 x 17.5cm (3 1/2 x 7in) loaf tin with 7.5 (3in) sides. 1) Preheat the oven to 170C/325F/Gas 3. Grease and line the loaf tin. 2) Start by making the crumble topping. In a bowl, rub the flour and butter together with your fingers until the mixture resembles breadcrumbs. Stir in the sugar, cinnamon and pecans and then set aside (I missed this and mixed it altogether at the beginning which still worked but took longer). 3) Next make the sponge. Using a hand-held whisk or a freestanding electric mixer with a paddle attachment, cream together the sugar and butter until it is light and fluffy. Break the eggs in one at a time, mixing well, on a medium speed, after each addition and scraping down the sides of the bowl. 4) Sift together the flour, baking powder, salt and ground cinnamon, then add in three stages to the creamed butter and eggs. Pour in the milk after the second batch of flour. Mix well on a medium speed after each addition, again scraping down the sides of the bowl to ensure everything is incorporated. 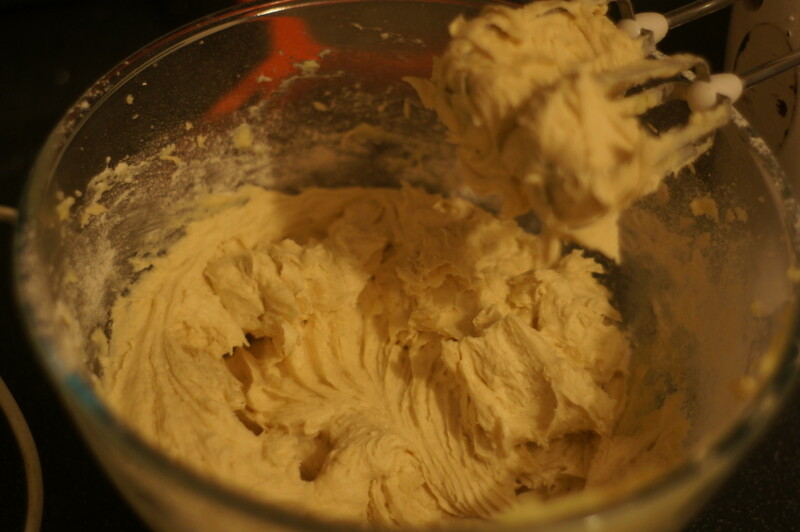 5) Increase the speed of your mixer to medium-high and continue mixing until the batter is smooth and even. 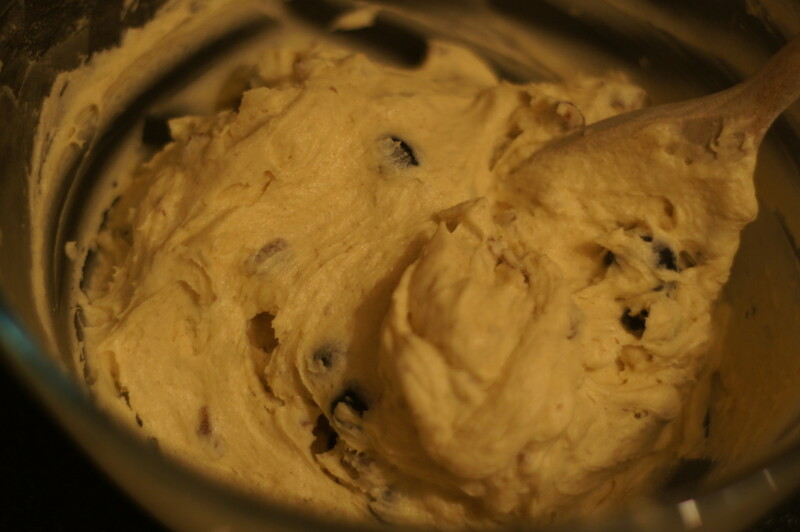 Add the blueberries and pecans by stirring them into the batter by hand, ensuring they are evenly distributed. 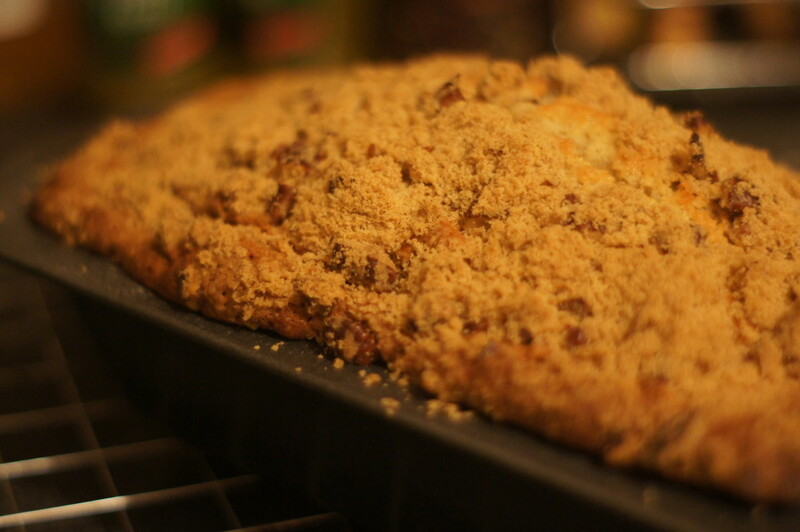 6) Pour the batter into the prepared load tin and sprinke the crumble mixture over the top. 7) Bake in the oven for 50-60 minutes or until the sponge feels firm and a skewer inserted into the middle comes out clean. Allow the loaf to cool a little before turning it out of the tin on to a wire rack to cool completely. Must of been good as I didn’t even see it at school! Sorry Jayne! Someone had snaffled a slice before 8 o’clock and think I got the last bit at break time. Will make sure you get a slice of my next bake!